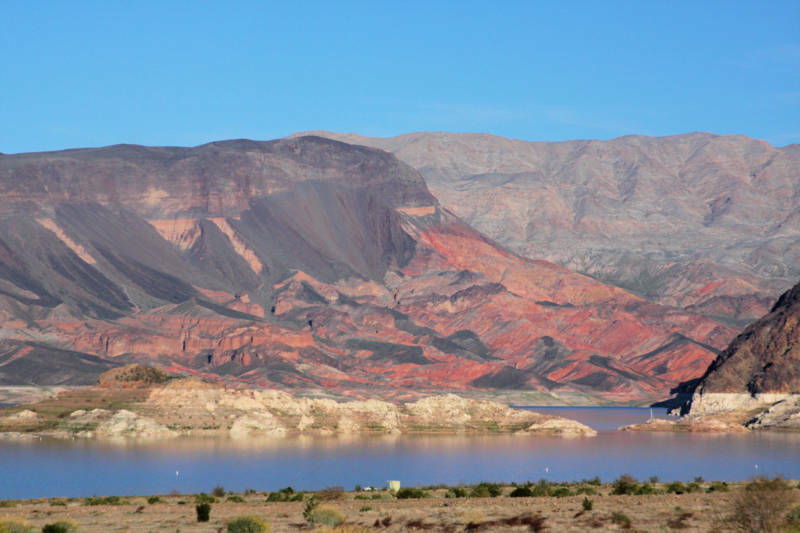 When in the U.S. Bureau of Reclamation announced last month that the country’s largest reservoir, Lake Mead, had fallen to its lowest-ever level at 1,074ft (327m), the question many asked was: How will it affect one of California’s primary drinking sources? After all, some 19 million Californians, nearly half the state’s population, receive some part of their water from the Colorado River, which flows into the 80-year-old reservoir created by Hoover Dam outside Las Vegas. By inching below the 1,075ft threshold, the lake’s historic low provoked a Level 1 Water Shortage declaration, signaling the start of potential water cuts to Arizona and Nevada. If Lake Mead sinks to 1,025ft (312m), the Department of Interior will seize control of its management and water allocation, and if it falls to 900ft (274m) it will be considered “deadpool,” meaning that water is no longer passing through the turbines. Falling water levels are the result of a drought in the Colorado River Basin that has dragged on for 16 years and counting. The legislation MacDonald referred to, the Colorado River Compact of 1922, handed California senior rights over the river and stipulated that Nevada and Arizona must be the first to make cuts in times of shortage. But if bad turns to worse in the region’s persistent drought, officials are already discussing the possibility of new negotiations taking shape. Unofficial proposals that are being floated include eventual Colorado River cuts to California in the range of 300,000–350,000 acre-feet (370–430 million cubic meters) – a little less than 10 percent of the 4.4 million acre-feet the state currently draws from the river. “Losing 10 percent of your water portfolio would be tough,” said MacDonald, who suggested California negotiators may sit down sooner to hammer out a deal, mitigating to avoid the more precarious political impacts of a water crisis engulfing the West. Heavy rains brought on by El Niño helped fill key reservoirs in northern California, including Lake Oroville (now at 92 percent capacity), Shasta (90 percent capacity) and Folsom (83 percent). More than two-fifths of California still remains in what the U.S. Drought Monitor calls “extreme drought,” but the State Water Resources Control Board responded to the wet winter by loosening restrictions on water use. So, returning to the original question of how Lake Mead’s historic low will impact California’s crucial drinking source, the best answer may be: in the near term not a whole lot, but in the long term, quite a bit. Still, UCLA’s MacDonald strikes a note of optimism. “This is manageable right now by taking strong action in terms of conservation and infrastructure,” he said, suggesting that if Southern California increases stormwater capture to 300,000 acre-feet by 2025, it could offset the potential 10 percent cut from the Colorado River. But time is of the essence.